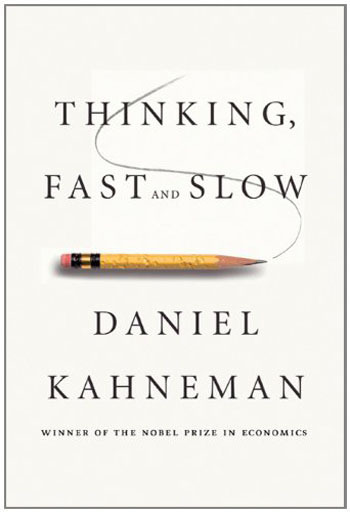 Daniel Kahneman, recipient of the Nobel Prize in Economic Sciences for his seminal work in psychology challenging the rational model of judgment and decision making, is seen by many as one of the world’s most important thinkers. His ideas have had a profound impact on many fields – including business, medicine, and politics – and in Thinking, Fast and Slow he takes readers on a tour of the mind, explaining the two systems that drive the way we think and make choices. Joel Suss feels that the book should be made required reading for anyone who still holds fast to the notion that people make decisions rationally. Thinking, Fast and Slow. Daniel Kahneman. Allen Lane. November 2011. Humans are hard-wired to be overconfident in their decision-making abilities, an evolutionary feature that allows us to instantaneously and comfortably make decisions and avoid the halting (and in the distant-past of human history, life-threatening) paralysis that would result from constant self-doubt.